Vasaloppet has decided to, as early as this winter, remove all ski waxes that contain fluorine-based substances from the official wax service due to environmental and health risks connected to these products. 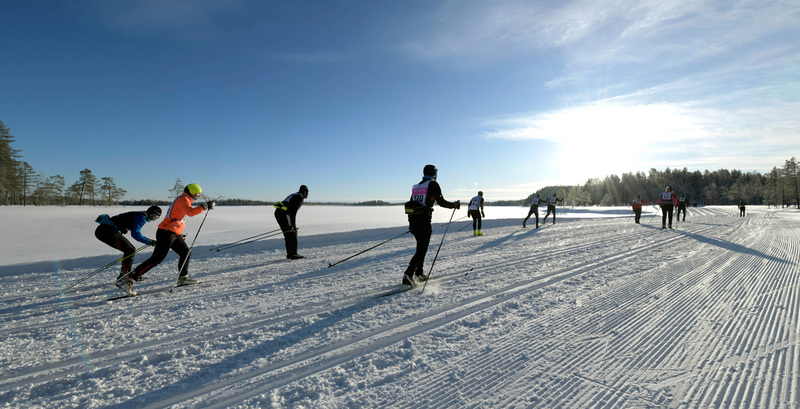 The Vasaloppet organization has, after consulting with its partners, decided to remove all glide wax products containing fluorine, replacing them with fluorine-free alternatives in the official wax service in Mora and Sälen, where about a tenth of all participants hand in their skis to get them waxed for the eleven races that are part of Vasaloppet’s Winter Week. “We have very good collaboration and dialogue with Swix, one of the biggest producers of ski wax, and we feel confident that we’ll be able to offer good fluorine-free alternatives,” says Vasaloppet’s CEO, Eva-Lena Frick. Vasaloppet will now only offer fluorine-free products in the official wax service. Vasaloppet also encourages every participant to make an active choice in avoiding ski wax containing fluorine and picking other options instead. “We take this matter very seriously and hope all our race participants understand why we, in consultation with our partners, are taking this step,” says Eva-Lena Frick. During the year Vasaloppet has also discussed the possibility of banning wax with fluorine. But a ban would be difficult to uphold as current testing methods still aren’t reliable enough, and getting results back takes too long. “We hope that our participants take personal responsibility in selecting other wax products, and that this will reduce the use of wax with fluorine already this winter,” says Eva-Lena Frick. Vasaloppet hopes and believes that many of those offering ski wax service during the Vasaloppet Winter Week will follow Vasaloppet’s example, and that participants will request fluorine-free alternatives when handing in their skis for waxing.